The Flip Flap Insulated Kooler Bag is a convenient bag that can keep your beverages cool. Screen print your business logo on the bag, for cost-effective brand advertisement. 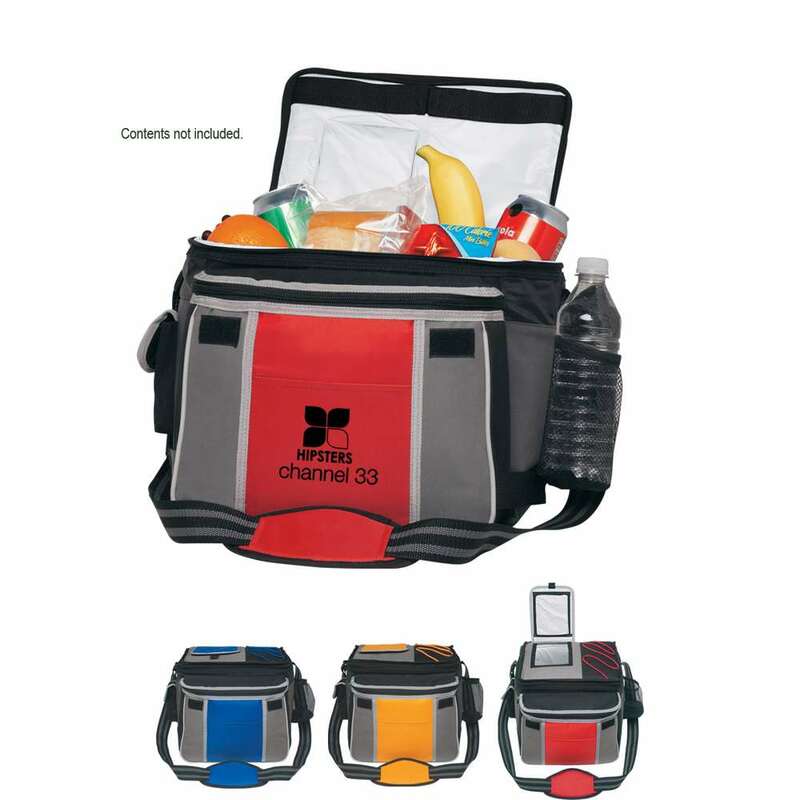 The Flip Flap Insulated Kooler Bag is a convenient bag that can keep your beverages cool. Screen print your business logo on the bag, for cost-effective brand advertisement. The cooler bag is made from a combination of 70D nylon and 600D polyester material, with PEVA lining. The insulation keeps the contents at an optimum temperature. It has a large zippered main compartment that can hold up to 10 cans. Send your competitors packing, by giving away this Kooler bag at trade fairs, this holiday season.